Recently, Starbucks closed thousands of locations to conduct racial bias education and training after a manager at one of its Philadelphia locations called police to the coffee shop because two African American men lingered there for minutes without making a purchase. Outrageous? Yes. Surprising? Unfortunately, no – not in the hospitality space. Not a week seems to go by without news of yet another restaurant controversy: be it the Starbucks fiasco or an employee-facing uproar like a high profile restaurateur sued for sexual harassment and misconduct, a chain settling a discriminatory hiring action, or the well-publicized resolution of a multi-million-dollar wage claim. What’s significant is the common denominator in most of these scenarios: the conduct of, or response by, front-line supervisors and managers. No doubt about it, effective management is a key to restaurant employee productivity, morale and conduct. The lack of good management – or worse – mismanagement, can result in inconsistent terms and conditions of employment and inconsistency in the application of rules and policies, and inevitably, treatment of employees. This often leads to employees feeling (rightly or wrongly) ignored, marginalized, targeted, bullied, harassed and voiceless. Add to that the “customer is always right” hustle prevalent in the hospitality industry, and restaurant workers – particularly service employees – are left subject to unique work pressures. Once rooted, these stresses can easily ignite and cause workplace issues ranging from employee apathy, unhappiness and turnover to workplace altercations and even legal claims of mistreatment. Restaurant operators must take steps to regulate the potential for such “rising temperatures” before it gets “too hot in the kitchen.” While management usually is extremely effective at providing customers a first-class dining experience, it is less adept at managing its employees’ workplace experience – despite the fact that most wage and hour, anti-harassment, anti-discrimination and other workplace laws apply to the restaurant space just as they do in other industries. A problem is that many (if not most) restaurants do not have an on-staff human resources professional (much less a full HR Department), and instead rely on decentralized front- and back-of-house management (Service Managers, Maître D’s, Lead Waiters, Kitchen Managers, Executive Chefs) to handle those functions. Consequently, it is critical for restaurant operators to provide management and supervisors with appropriate training to protect against potential liability. Effective management is a key to restaurant employee productivity, morale and conduct. In terms of training, many states, New York and California included, now (or soon will) require written anti-harassment policies and even interactive training for all employees on issues such as sexual harassment prevention. This is actually good news for restaurateurs given a recent reporting by the EEOC that 37 percent of all sexual harassment complaints filed with the agency were made by restaurant industry employees. As such, restaurant owners should act immediately to implement anti-harassment and anti-discrimination policies and conduct periodic (not just one-time) live training for employees and the supervisors responsible for policing such policies. In so doing, it must be made clear to all personnel – managers and employees alike – that harassment and discrimination (among other forms of inappropriate workplace conduct) will not be tolerated. That being said, management must be trained and empowered to recognize such inappropriate workplace conduct and understand how to address and eliminate it. There is more. Supervisors should also be well-versed in wage and hour issues (read: timekeeping, recordkeeping, minimum wage, overtime, tip credits and tip pooling) to ensure consistency in pay practices. Employers who treat their employees equitably and with mutual respect and pay fair wages generally enjoy positive employee relations. In the restaurant business, such a symbiotic relationship can be achieved by following a simple recipe known as the “Five Cs”: (1) courtesy, (2) clear rules and policies, (3) consistency, (4) communication and (5) creating a good example. Regarding the second ingredient – clear rules and policies – management must fully understand them (and themselves be compliant) and make sure that all employees do as well. If and when a rule is not properly followed, it is management’s responsibility to correct the issue and create an understanding of consequences for failure to adhere to the restaurant’s rulebook. With consistent, thoughtful management comes an expectation that like situations will be addressed similarly, with reliable results. To realize this goal, management should always have an ear to the ground, always listening (and keeping a lookout) for workplace concerns. At the same time, supervisors should be accessible to employees to address any such issues uncovered before they become overwhelming. Remember, mismanagement can be costly. Yet at the end of the day, when employees feel comfortable talking to restaurant management to resolve problems on the job (and management responds capably), they may not feel the need to visit a lawyer to do so. The upshot: it pays for restaurant owners and operators to adequately train their managers and supervisors. 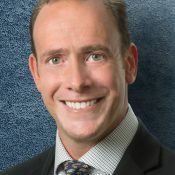 Marc Zimmerman is a partner of Michelman & Robinson, LLP, a national law firm with offices in Los Angeles, Orange County (California), San Francisco, Chicago and New York City. He leads the firm’s dynamic Labor & Employment Practice Group and represents management across multiple business sectors, including hospitality.